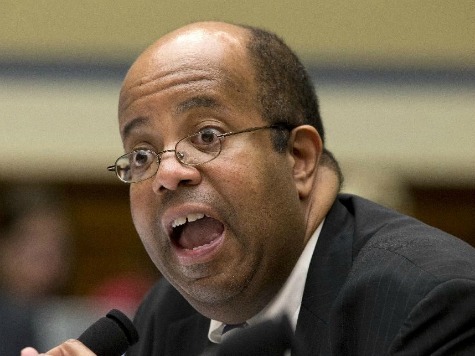 J. Russell George, the Treasury Inspector General, told a House Appropriations Subcommittee on Monday that there is an ongoing audit of bonuses IRS employees have received, and that it should be completed sometime in the fall. “We have an ongoing audit on the issue of bonuses paid that is due sometime this fall,” George said in testimony before the Subcommittee. Rep. Hal Rogers (R-KY) grilled acting IRS commissioner Danny Werfel about whether President Barack Obama approved some of the bonuses received by some officials involved in the IRS scandal. Rogers said the Office of Personnel and Management requires Obama to approve bonuses over $25,000, and Werfel said he was not sure if some of the six-figure bonuses received by IRS officials were a combination of payments that were less than $25,00o or if they were indeed payments that were more than $25,000. He conceded there are special bonuses President Barack Obama may have approved. Werfel said his primary mission is to restore the trust that has been “violated” and would report to Congress his findings regarding the bonuses. Republicans noted that former employees like Sarah Hall Ingram, who drew outrage when it was discovered she had been a part of the tax-exempt division and is now in the division in the IRS that will be responsible for implementing Obamacare, received significant bonuses while at the agency. Werfel said he needed to make sure the American people understood those who were responsible for the “breakdown of the trust” were being held accountable. He also said he was seeking to determine the “root causes” of the scandal.